Getting to the top of Google is no small feat, especially if you operate within a highly-competitive niche. Take Dentistry, for example. In Austin, Texas alone, there are 1.5M search results. Beating our all those doctors would be a tough mountain to climb for even the most ambitious of new dentists in town. Therefore, as with any important and challenging task, a little preparation is in order. Before you get started on an SEO campaign, you must assess the competitiveness of your market. Otherwise referred to as competitive analysis, the results of this thorough vetting of your market will determine how easy or difficult it will be to rank prominently for your primary keyword terms. If the analysis proves that ranking highly in Google won’t take much work at all, only a small budget may be required to completely transform your search rankings. 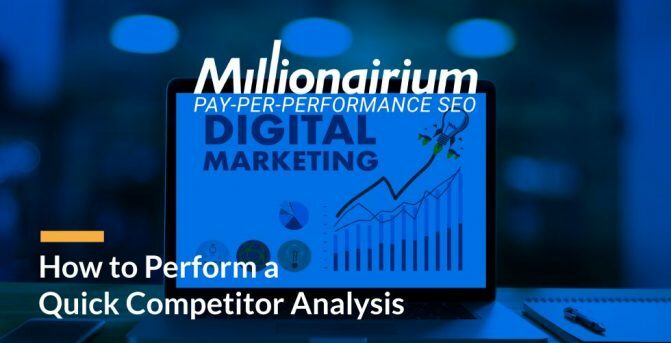 On the other hand, if the analysis shows that you operate within an extremely competitive niche, then a larger budget may be required, along with the skills and expertise of an experienced SEO team. However, whether you’ve hired an SEO team already, you’re considering hiring one or you are a die-hard Do-it-yourselfer, here is how to analyze your market to get a better idea of what your business might be up against on your way to Google prominence. The first step to study your target market is to come up with a list of viable keywords. These are the words and phrases Google users might type into the Google search box to locate businesses like yours. Including the area is important if you are hoping to attract local customers, as the act of adding a geographic modifier will help you hone-in on your specific audience. If you were to just search Google for “Wedding Cakes,” you would get millions upon millions of results. Searching for Denver Wedding Cakes, on the other hand, will yield far fewer and more targeted results. NOTE: Google will determine a user’s location, even if they don’t enter a geographic modifier in their search query. 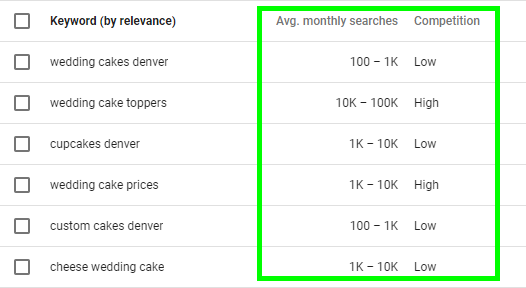 A person searching in Denver for “Wedding Cakes” could still see your website listed prominently if you optimize for “Wedding Cakes in Denver” because of Google’s intelligent algorithm model. However, you will still want to optimize for the entire phrase so that Google knows that you’re trying to attract a localized audience. You can determine the ideal keyword list by following these steps. 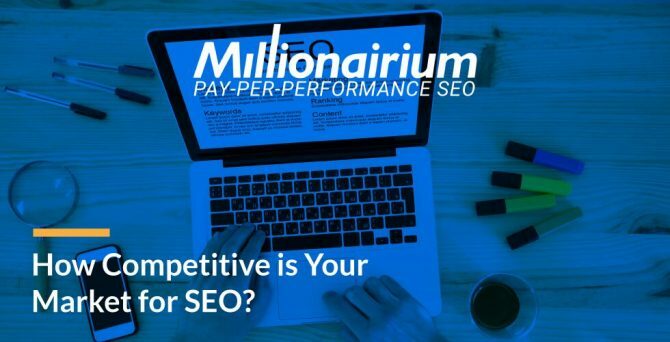 Select Your Biggest Competitor: SEO Scientist, Reza Tati, said, “To determine how competitive a market is, we always start with a tool like SEMrush. By entering a client’s primary competitor into the search engine, we can see, at a single glance, which keywords they are optimizing for, how much traffic they’re getting, and other signals that can help us develop our marketing approach from the onset.”Choose one or more of your prime competitors and enter them into the SEMrush search box. Once submitted, you will be able to see the keyword terms your competition is currently ranking for. Use Google Search Suggestions: After you type a phrase into Google, scroll to the bottom of the search results where you will typically see some related search terms. Use Google Keyword Planner: Part of the Google Adwords platform, the keyword planner will allow you to determine how popular certain terms are with search users. Use Google Search Trends: This tool will let you determine the popularity of searches for any given area and time frame. You can search various areas, times, categories, and search engines (such as YouTube, Image Search, and Mobile). Look for Google Adwords Ads: When searching Google for various keyword terms, see how many ads pop up in the search results. 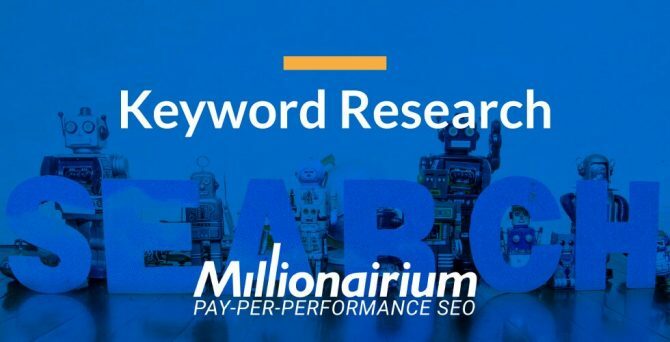 If you experience a significant number of ads, that could indicate a highly-competitive market, as those business owners will be spending good money to rank highly for those keyword terms. Fewer ads, on the other hand, could indicate a market that isn’t very competitive at all. Used together, the above keyword research shouldn’t take very long or be difficult, even if you’re not very tech-savvy. Of course, no market research would be complete without thoroughly spying on the competition. Milad is referring to sites like Amazon, eBay, and others for ecommerce shops, and major brands for all other industries. Once you have a list of viable keywords, start searching for those terms in Google and see how many results come up. More importantly, see which websites populate on the first page of the Search Engine Results Pages (SERPs). Click on all the results on the first page and really pay attention. What colors are they using? How easy is the site to navigate? Is all the information readily available and easy to consume? Most importantly, does the site leave you with a memorable web experience? This is your chance to do things better than your competitors. Once you see how the other guys set themselves apart, you can go above and beyond; thus, creating an even better and more memorable web experience than anyone else in your market. If, after using the above tools and conducting the necessary Google searches, you feel that your market isn’t very competitive at all, you may be able to get by with minimal marketing expenditure and a DIY approach. However, if your market is moderately or overly competitive, a DIY approach will never be enough. While other SEO companies will charge you hundreds or thousands of dollars up front, you can get started with Pay-Per-Lead SEO for $0 down. That’s because you only pay when you see results! That’s how SEO should be. Get started with a free, no-obligation consultation by calling 3102992799 or use our Sign Up form to start the conversation on how we can improve your site’s visibility, organic traffic and leads from Google – using Google SEO.